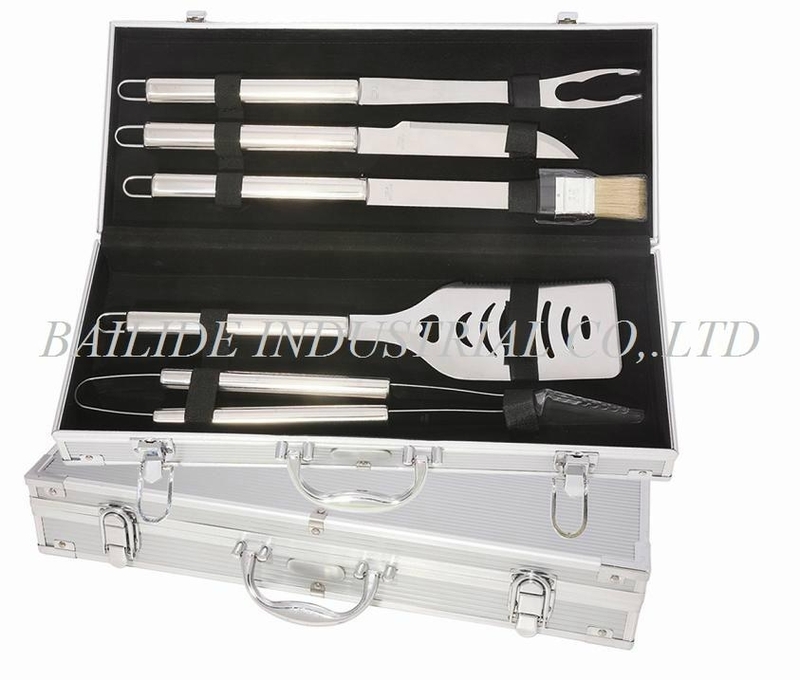 The BBQ have 6 .The equitment is completed.The BBQ is very suitable for working outdoor.BBQ Set with 6 accessorise which is made of hight quality stainless steal . 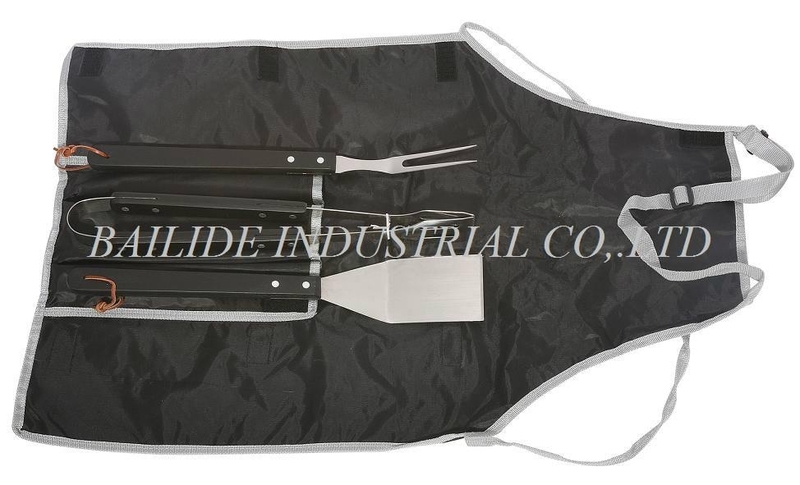 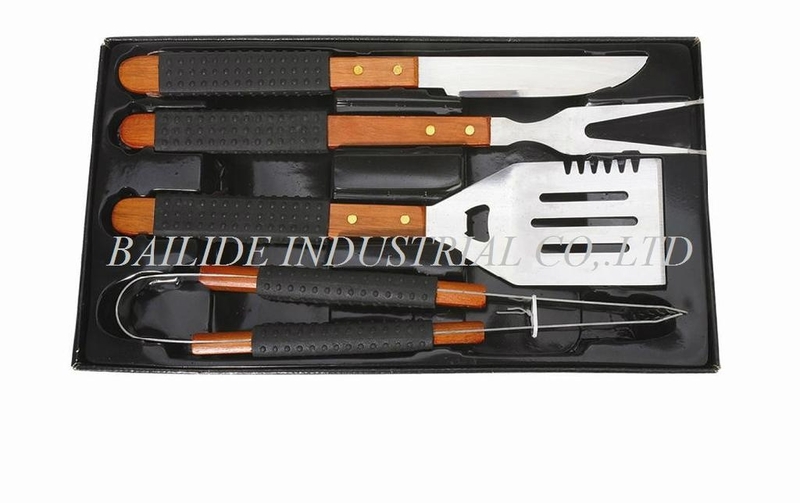 Advantages︰ The BBQ is easy for carrying and its design is popular .BBQ Set with 6 accessorise which is made of hight quality stainless steal and an Oxford cloth bag. 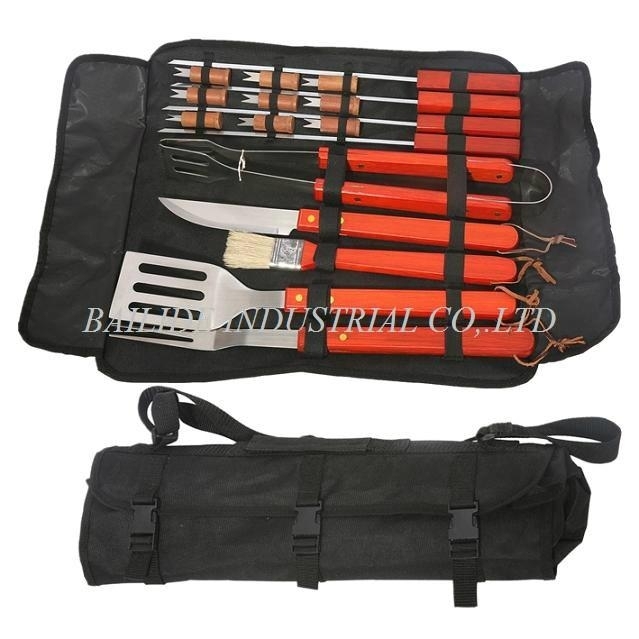 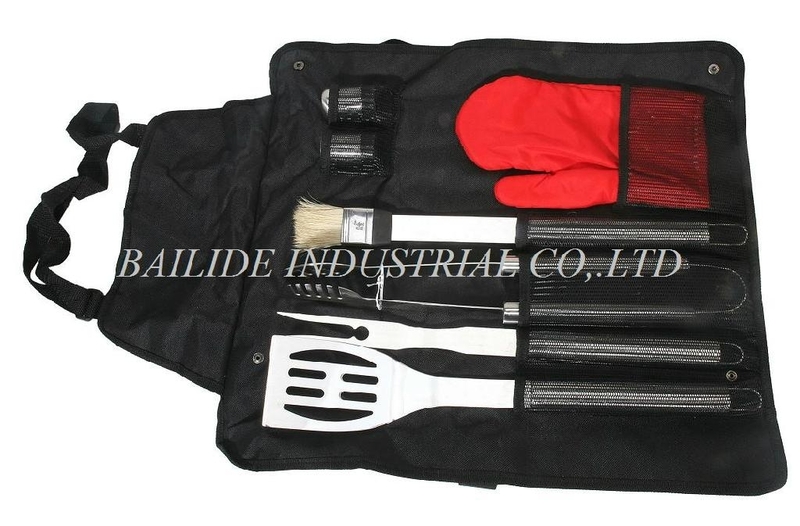 It is good choice for out door BBQ activity .Accessorise is selectable.